(OPride) — Just days before the start of the 2014 FIFA World Cup, controversial Ethiopian singer Tewodros Kassahun announced his highly anticipated Amharic version of Coca Cola’s World Cup anthem has been shelved. In a statement posted on his official website, Kassahun, who is better known as Teddy Afro, accused Coca Cola’s regional brand manager Misikir Mulugeta as unpatriotic and cowardly. Mulugeta’s actions “compromised national and popular concerns to dubious and narrow self-serving interest,” the statement said. Teddy’s checkered reputation has been widely scrutinized in recent years. In Teddy’s own admission, Mulugeta’s reasoning for withdrawing the contract apparently recognizes this fact. 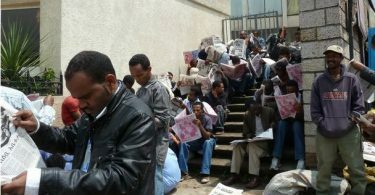 “Teddy Afro’s participation and coverage in the work ‘does not fit his reputation,’” Mulugeta told the singer, the statement noted. It is the second major setback in Teddy’s attempt to break into the global music scene this year. In early January, a widespread outcry and a social media campaign by Oromo activists calling for boycott of Bedele beer forced the Dutch-based Heineken IV, Bedele’s owner, to cancel a multimillion sponsorship deal with Kassahun. In December, ahead of the Boycott Bedele campaign, I discussed Kassahun’s shoddy past including allegations of plagiarism in local media and the singer’s unquestioned adoration for Ethiopian emperors. Kassahun’s songs that lionize emperors Haileselassie and Menelik II as unifiers discount the sufferings of many nations and nationalities under their imperial rule. Teddy’s nostalgia for mythical Ethiopia and insistence on falsified history have cost him not only the Heineken’s deal but also a huge fan base in the country’s ethnically diverse south. 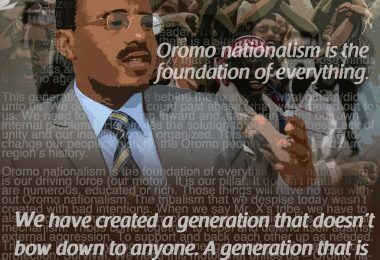 During the two-weeks long #BoycotteBedele campaign, Teddy remained silent — only making a brief statement denying comments in local newspaper, Enqu, which alleged he likened Menelik’s war of conquest to ‘Holy War.’ After the Bedele deal was withdrawn, in an interview with Addis Admas, Teddy characteristically remained defensive and accused the boycotters as few detractors who did not want the country’s unity. 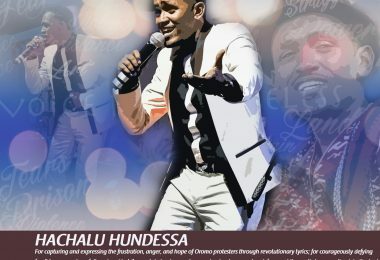 Contrary to Teddy’s claims, the Oromo youth said no to his musical tour by plastering boycott posters in several cities including Finfinne and Adama. He went onto to add that “God elects one voice in every generation” to preach love, and that he sees his role being the divinely intentioned voice of his generation — perhaps in the mold of Haileselassie, who also claimed he’s the Elect of God. It surprising that in 2014 anyone could subscribe to such a myth, much less a self-proclaimed global music star. Instead of learning from past mistakes and apologizing to the public, Teddy keeps on playing the same old tricks. In a subsequent concert held at Ras Hotel in Addis Ababa, Teddy continued to praise the emperors and preached his message of fake unity. The latest statement on Coca Cola’s decision not to release his work echoes the same tone. Teddy’s outrage and frustration is visible. In a circuitous statement, the singer goes to great pains to make a purely business deal into a national issue. Teddy also attempts to frame his involvement with Coca Cola as part of an effort to represent Ethiopia at the World Cup. “The project brings our lovely motherland to the spotlight of world cup spectators around the globe on its positive side and make Ethiopians presence in this major global sporting event…visibly felt as part of our contribution to image building efforts to our country and people,” Teddy wrote. How his Amharic version of the anthem makes “Ethiopia’s presence at the World Cup felt” is not clear from the statement. For one, Ethiopia will not be participating in this tournament. Second, at best, the song will be used to advertise coke products not Ethiopia’s “positive side,” whatever that might be. Teddy’s convoluted and contradictory statement also makes clear that Coca Cola was not impressed by his performance and reputation among the company’s customers. Teddy’s cameo appearance in a music single called “Togetherness” released by Coke Studios in Africa in January was laughable. The lesson here is simple: Teddy made a name for himself by lionizing dictators. The World Cup is about promotion of friendship among nations. Teddy has done exactly the opposite in his home country by condoning historical wrongdoings. Featuring Teddy on such a stage would have run contrary to the spirit of the event. Given Ethiopia’s huge football fan base, especially in Oromia and the south, Coca Cola’s decision to drop the controversial singer is commendable. 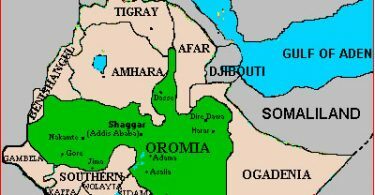 Oromo and other activists have welcomed the decision as important and timely. Meanwhile, Teddy and his fans are said to be pressuring Coca Cola to reconsider its decision. Less than a week before the World Cup’s official kick-off, their plans may prove to be too little, too late. *The writer, Tigist Geme, is a Washington, D.C.-based activist and citizen journalist.